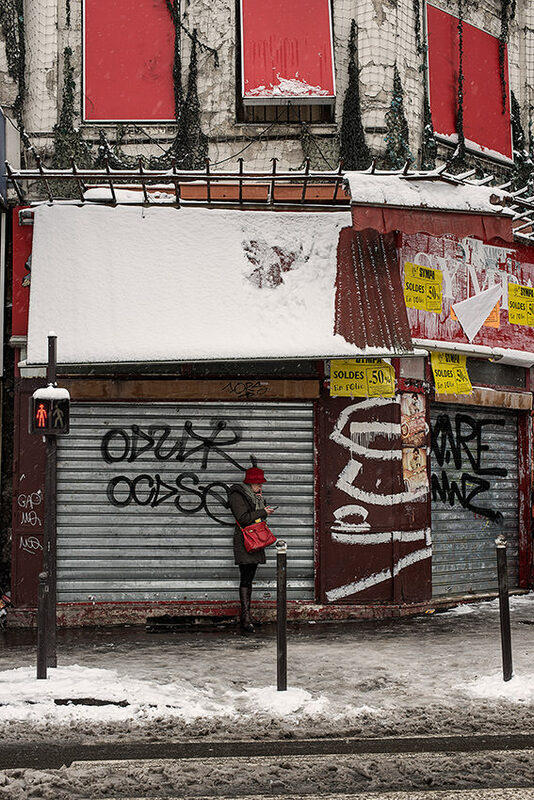 In a snowy Paris, a woman looks at her cell phone, Rochechouart boulevard. A snowstorm hit the city of Paris on 18, 19 and 20 January 2013. At the foot of Montmartre, a woman is looking at her cell phone boulevard Rochechouart. Une tempête de neige s’est abattue sur la ville de Paris les 18, 19 et 20 janvier 2013. Au pied de la butte Montmartre, une femme regarde son téléphone portable boulevard Rochechouart.